Welcome to my inaugural post for Monday’s weekly meal prep! Welcome to my inaugural post for Monday’s weekly meal prep! Full disclosure: I’m not a trained chef or nutritionist. However, I do like meals that are not only healthy, but aesthetically pleasing (read: pretty) as well. (I also like meals that are not-so-healthy, but at least I am attempting to eat healthier!) I do borrow recipes from books, online and word-of-mouth, and I will source my references. Truthfully, I have not always meal-prepped for the week. There will be weeks where I pack a lunch for work and other weeks I will just buy from wherever we end up at. However, eating the same thing can be boring after a while, and eating out can get quite expensive. Not to mention, different places may season their food differently than how you may like it. I wanted to find a “happy medium” where I can have the food that I like each week and (1) not get tired of it; (2) it’s fairly affordable; and (3) it doesn’t take a lot of time. So thank you for reading this far, and let’s get started with our weekly meal prep! When I was with Weight Watchers some years ago, there was a recipe that I liked called “Easy Moussaka” that used ground lamb in tomato sauce and paired with linguine. I remember liking the recipe and I wanted to re-create it. It may have been a recipe I got off the member portal for Weight Watchers, because I cannot find it anywhere in my recipe files or in my book collection. 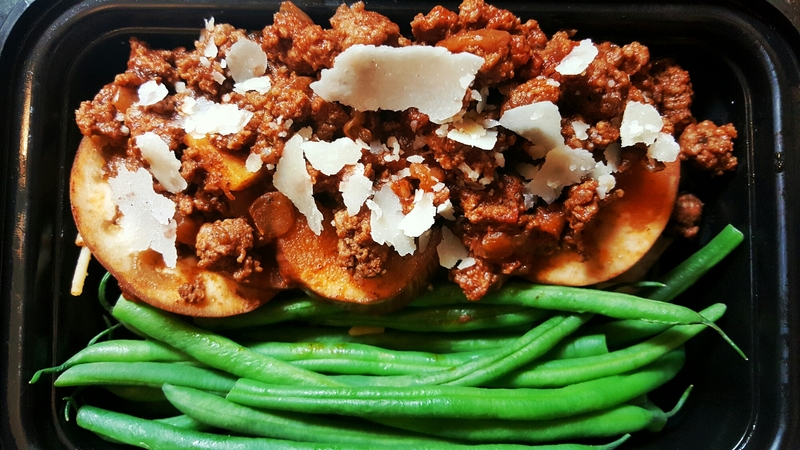 The recipe was more of a meat sauce on pasta rather than a casserole. 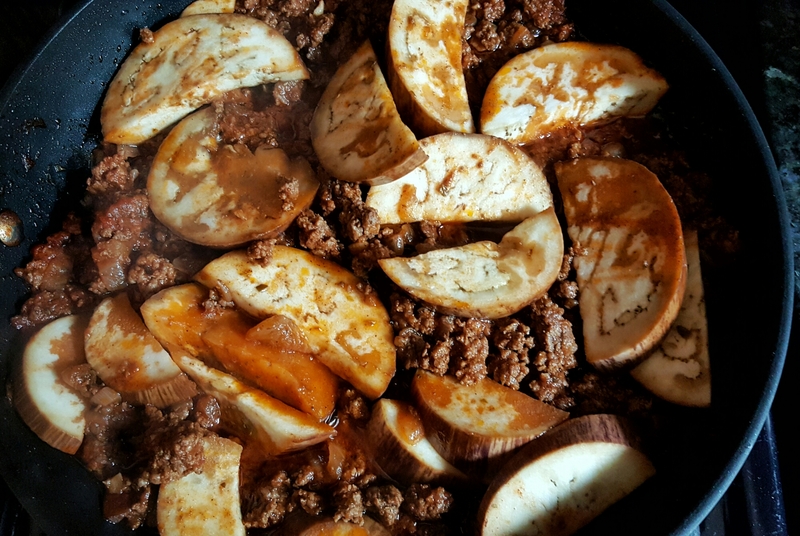 The closest I could find to the recipe that I remember is this: http://www.skinnykitchen.com/recipes/skinnyfabulous-moussaka-casserole/ but I left out the potatoes (because we have pasta), Alfredo sauce and feta cheese (though, I may experiment with that another time!) Since I’m putting my spin on this recipe, I will go through it step-by-step. I had rounded up and prepped all the ingredients as listed under “Ingredients under Moussaka,” minus potatoes. 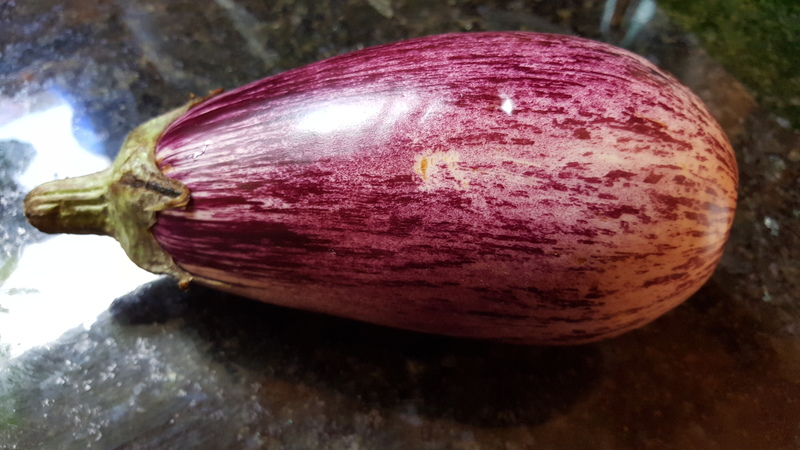 Such a beautiful eggplant. Too bad I have to slice it up! It’s all about the mise en place. I boiled water in a pot for the pasta. You can use salt or olive oil to keep the noodles from sticking. 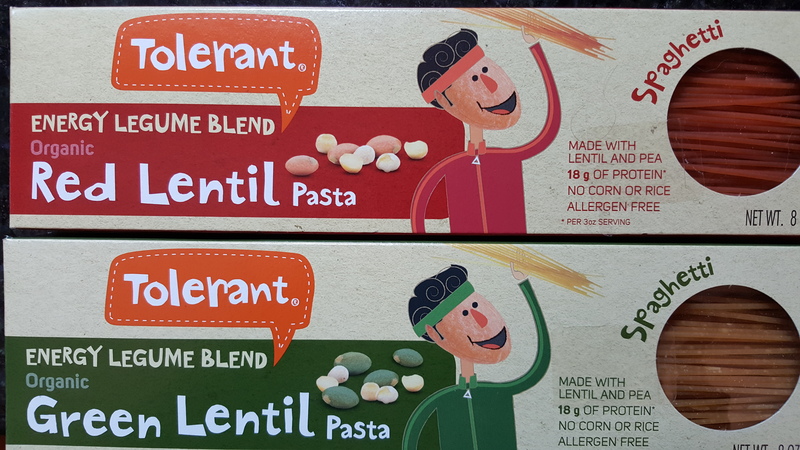 My coworker had mentioned that red lentil pasta had a lot of protein and tasted like actual spaghetti. I’m a person who likes to try everything, at least, once. Can you believe that this has 18 g of protein per serving?! Sign-me up! While the water is heating up, I warmed the olive oil in a large, non-stick pan. 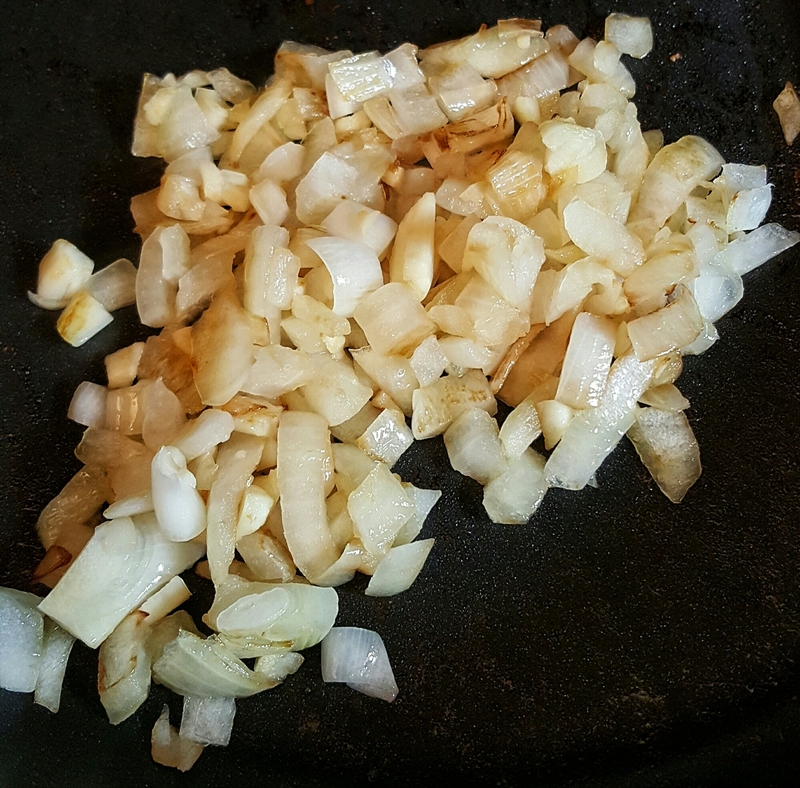 I added the onion and the garlic, and stirred them for a few minutes until golden. Add the ground beef (lamb, or turkey, whichever you choose). Cook until browned, for about 5 minutes. Then drain fat, if needed. Add the eggplant, oregano, cinnamon, salt and pepper, then simmer. Confession: I forgot to get the can of diced tomatoes (*gasp*). I remember at some point, one of the many cooking shows had given alternatives, such as tomato paste. 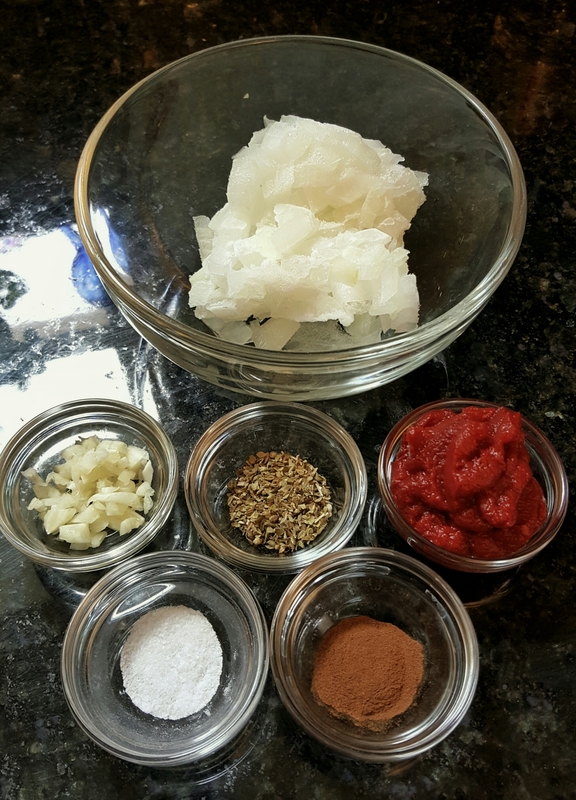 So if you were wondering why I had tomato paste included in my mise en place that would be why. See, I can be flexible! Add the tomatoes (or tomato paste, in my case) and red wine (or you can use chicken stock, too). Cook, uncovered, until liquid reduces for about a minute. Once the water comes to a boil, cook according to package directions (about 8 to 10 minutes). Drain. Divide pasta between the containers for the week. Next to the pasta, I placed some steamed greens as my vegetable. Top the pasta with the eggplant and meat sauce. Pro tip: garnish with shaved parmesan. There you have it. I’m sorry we had to make a lot of substitutions from the original recipe. Sometimes, with cooking, one has to be flexible and improvise. I will try to find a recipe that we can stick to next time. Thanks for reading and see you next week!